Simon Prestige Jewellery offers a very unique service. 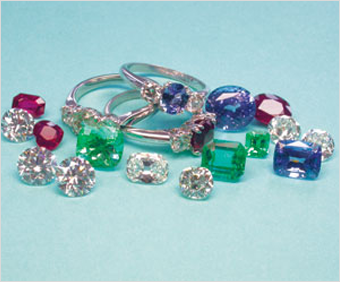 All the precious stones used in our jewellery designs have been imported by us. We do this so that we can deliver our products to you at a more competitive price. We cut out a middle-man and therefore save you money. We have over 500 original designs. All our exclusive designs are made in our workshop and all work is 100% guaranteed. All the designs can be altered to suit your needs and we can even produce jewellery from your own designs. We also offer a high quality jewellery repair and remodelling service, right here in the heart of Melbourne. If your antique jewellery is in dire need of some love and care, we can help repair your treasured pieces, bringing back some old-world charm. SPJ are importers and wholesalers of modern and old cut diamonds. Ranging in size, shape and quality, we offer a large selection of exclusive diamonds to cater to your needs. SPJ are Australia’s leading supplier of Old Cut Diamonds. We stock a wide range of old cut diamonds in different qualities, shapes and sizes. We stock large collections of fine natural Columbian Emeralds, Ceylon Sapphires and Burmese Rubies as well as other precious and semi-precious gemstones.